A great way to fasten case fans to your case without using your typical self tapping fan screw! 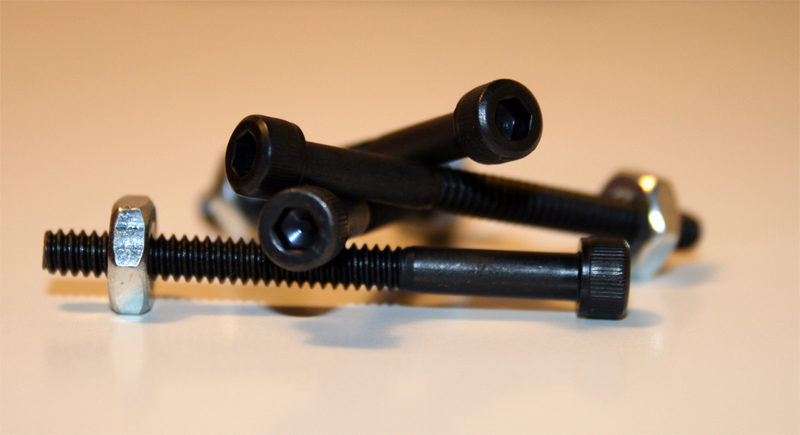 These Round Hex Headed Black Oxide 1.5 inch bolts will go through grill-case-fan-and fasten tight with a 6-32 nut. This pack includes 4 bolts and nuts - enough for a single fan. Not only do these look sharp but they give added stability to the fan. This stability is great to use in conjunction with our Mountain Mods 120mm HDD mounting brackets as the weight of the hard drive is shifted away from the fan flange to the case wall.